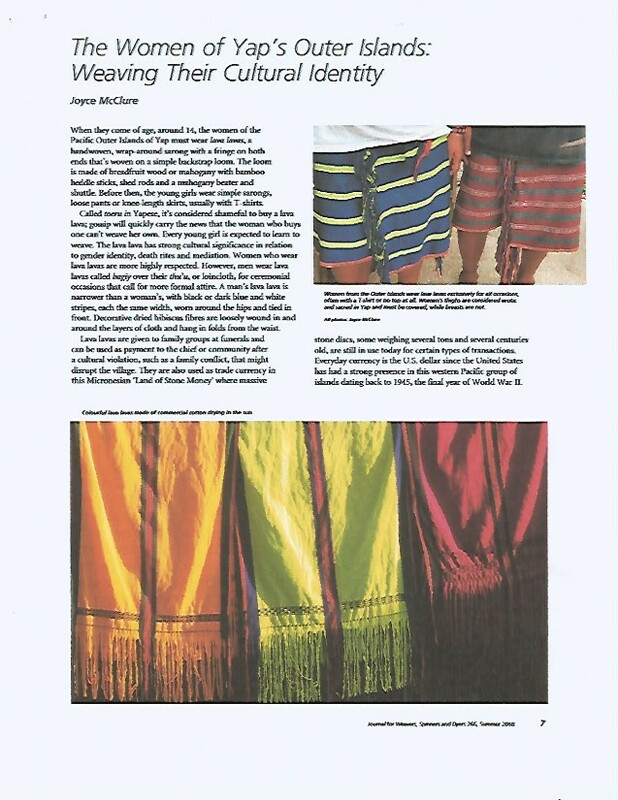 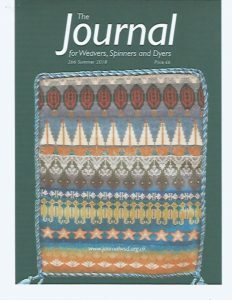 Written by YVB’s marketing consultant, Joyce McClure, and illustrated with her photos, the following article about the art of lava lava weaving is now out in the Summer 2018 issue of The Journal for Weavers, Spinners and Dyers that is published in the UK. 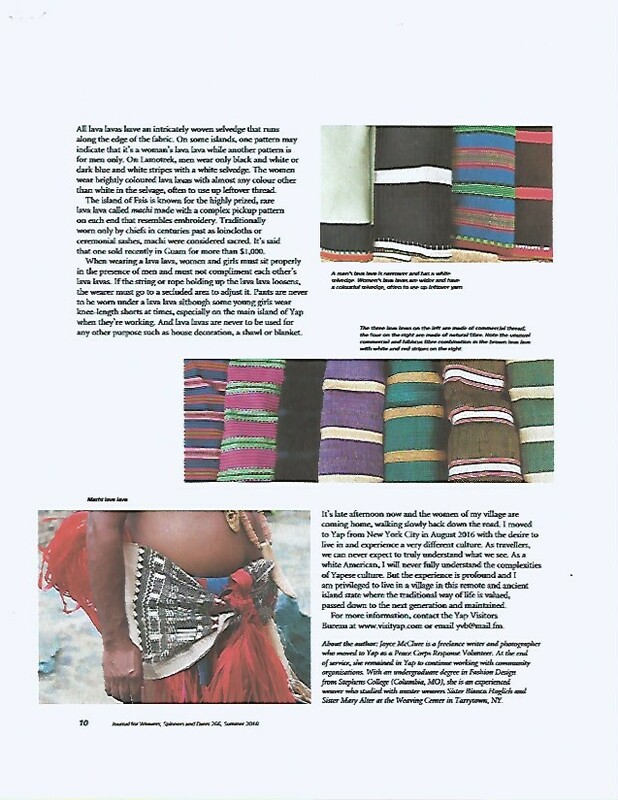 It has a reach of 2,600 subscribers in 25 countries; is distributed to over 100 Weaving Guilds with a total membership of 4,500; available in college libraries; and sold at arts venues around the UK. 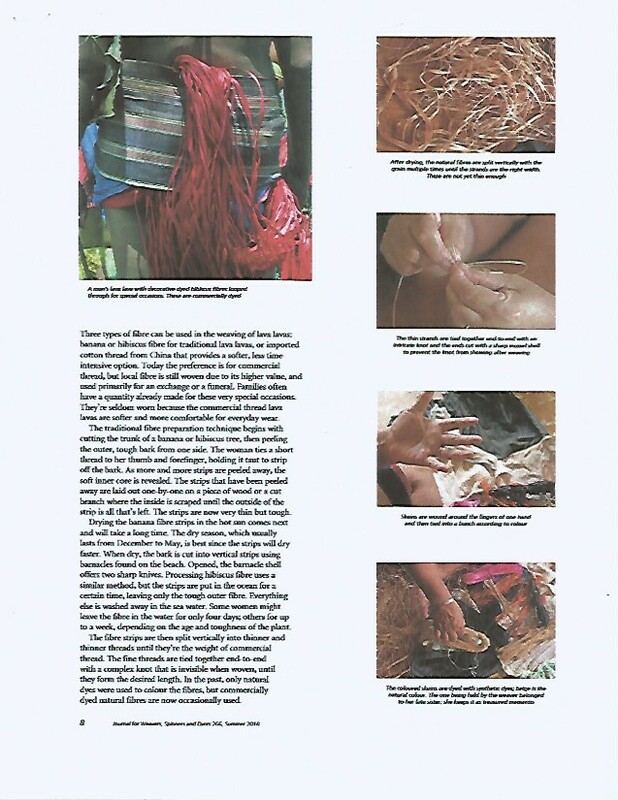 Joyce sends thanks to the wonderful women who allowed her to watch as they worked and answered her many questions. 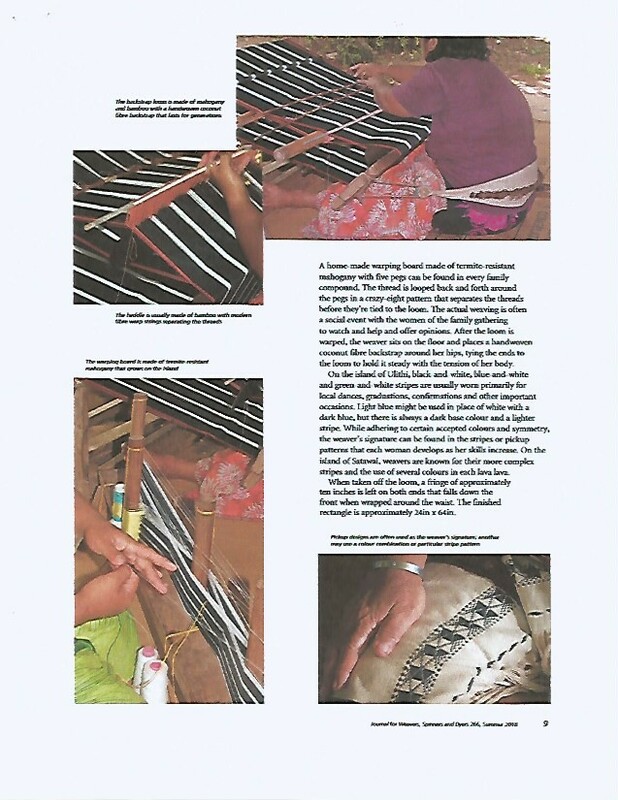 They are true artisans.